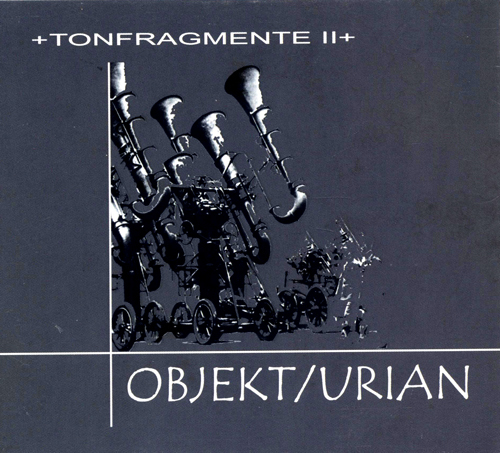 Objekt/Urian is a project that has apparently completely evaded my radar since the year 2000! Always amazing that one can find new things after this many years in the noise scene. Zone de Confusion is a sub-label of Nuit et Brouillard, the long running industrial label. Presented in Tonfragmente II is a very clean sound of industrial/power electronics much reminding me of a mix between the groups Irikarah and Haus Arafna. Sure, they are great starting points but I’m not sure that Objekt/Urian ever truly reaches the same heights as those acts, but the sounds also differ in some unique ways which make this worth a listen for fans of either of those acts. There’s a good variety of tracks here some which fall on the heavier side of rhythmic PE and some which play out as more experimental affairs. Among the standouts here are Useless Informations with it’s unique and light percussion somehow representing a more underlying sinister intention. Fight ends up being a rather anthemic power electronics outing almost reminding me of the sloganeering of Non’s Total War or a lesser version of a Genocide Organ track. One thing that holds the album afloat is that most of these tracks are really enjoyable even if they’re not the standout tracks. In addition, they are all differing and have separate ideas going on. One great example of this is the closer An Appeal which is still bringing new elements to the album and ending it on a strong note with some weird combination of synth-pop and militaristic industrial. This is a great album, very fun yet still consistent in aesthetic. The experimental aspects of the sounds really add to the release which is rare for an already experimental genre. Honestly I’m even still perplexed by Tonfragment II yet I can see this material growing on me in the future even though I already like it a lot.